Feature Super Muñeco : is a luchador (Mexican wrestler) - his name literally means "super toy" and it represents the clown in the Mexican wrestling circuit . Son of wrestler El Sanguinario he began his career under the name Sanguinario Jr. before taking the name Super Muñeco. 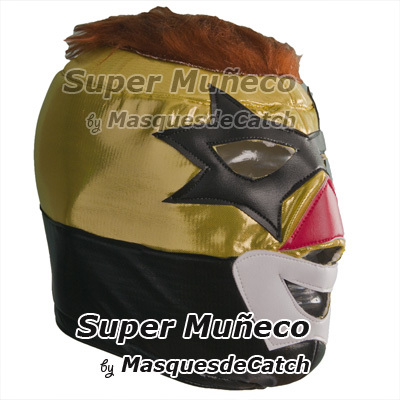 This Super Muñeco mask is perfect for an original gift for a party or for a costume party, for a carnival, a bachelor boy, etc.. You will really stand out.